Taxis barricade the N2 just outside Peddie. The Democratic Alliance (DA) calls for strong action to be taken against taxi operators who have brought the economy of the Eastern Cape to a crashing halt today. The taxi industry, through their actions, have today shown that they do not care about the livelihoods of the people of this province. Tens of thousands of individuals, breadwinners, who are dependent on public transport to get to work, will take home less this month because of the strike. Businesses, struggling to keep their heads above water as the country enters yet another recession, have lost a day’s productivity they simply cannot afford. Taxi operators under the banner of SANTACO, issued a notice that they will be embarking on a provincial strike today, 19 September, due to various grievances with the Department of Transport. They gave their assurances on national television this morning that individuals would not be intimidated and that vehicles would be allowed to travel to work. Reports that we have received, and that have been posted on social media platforms, paint a very different picture. Roads have been barricaded by taxis and burning tyres, cars have been forced to turn around on national roads and people trying to get to work have been pulled from vehicles. 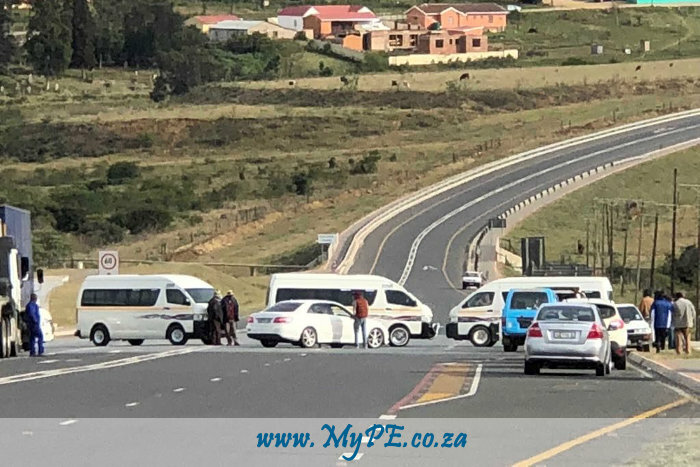 I myself, and my colleague MPL Bobby Stevenson, were verbally abused at a taxi barricade across the N2 on the outskirts of Peddie, and were prevented from travelling through to Bhisho. These actions are a direct breach of the South African Constitution, which gives everyone in South Africa the right to freedom of movement. While the DA respects the rights of workers to strike, the economy of the Eastern Cape cannot be sacrificed. In our current economic climate, this strike is costing our province tremendously. We believe that there are alternate ways to engage with the taxi association to resolve matters, and appeal to the associations involved in the strike to ensure that their members do not prevent and intimidate commuters who will make use of alternative transport due to the taxis not running. I have written to the Transport committee chairperson, Ntombizodwa Xhanti, and have requested that an urgent meeting of the committee must be called to discuss the matter at hand. I also call on those in law enforcement to ensure that those members who have broken the law, are brought to book.